Bring 700 g water to boil at 5 mins/100 degrees/speed 1/MC on. 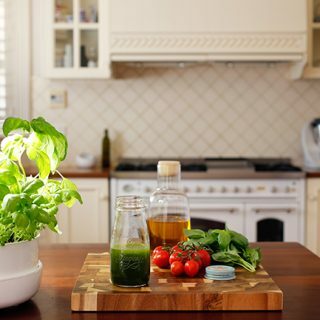 Place prepared basil leaves into deep steaming tray and carefully, over the sink, pour the boiling water from your mixer over basil leaves to blanch them. Immediately run cold water over the leaves to cool them. 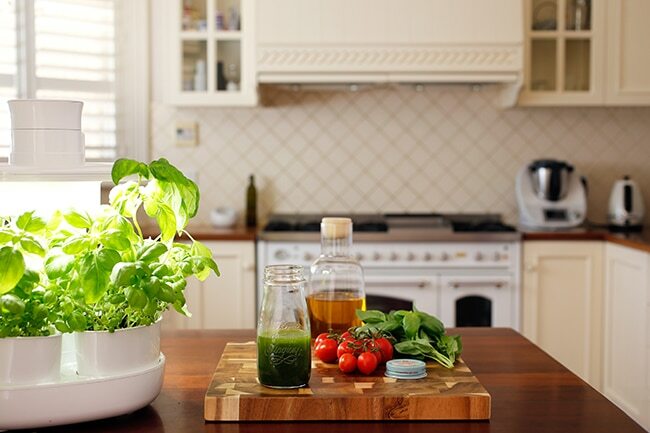 Squeeze the basil leaves well and pat dry using paper towel to remove as much water as possible. Add olive oil, basil and salt to bowl and blend for 10 secs/speed 7/MC on. Store in fridge for up to 5 days or freeze in ice cubes for smaller individual portions. I made the basil oil last night to have with some fish and it totally enhanced the flavour! I just adore basil and this was a great way to use some of my HUGE basil plant. I think pesto is next on my list!